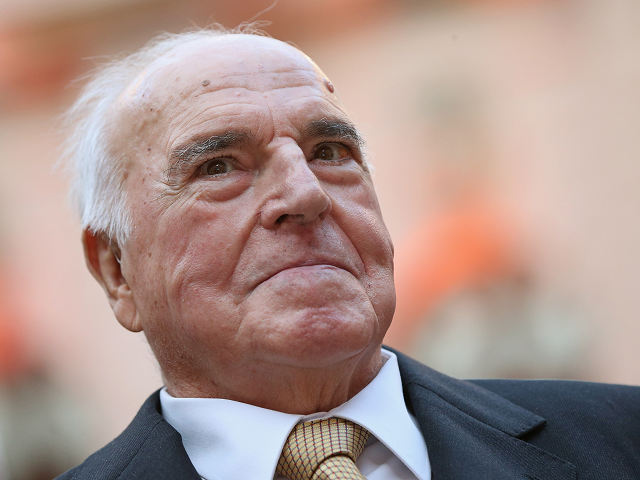 Deeply respected former West German chancellor Helmut Kohl has praised Hungarian leader and critic of mass migration Viktor Orbán and has announced plans to meet with him on April 19th. Revealed in a sympathetic profile in Bild yesterday to mark the former chancellor’s 86th birthday the revelation that Mr. Kohl will receive Mr. Orban as a guest has sparked a wave of speculation and controversy in Germany. As a former leader of the Christian Democratic Union (CDU), Mr. Kohl is the predecessor of present chancellor Angela Merkel not just in high office, but also in the party. Mrs. Merkel has been perhaps Europe’s most ardent supporter of mass migration, using her position of massive influence within the European Union to welcome millions of both legal and illegal migrants to the continent. The most vocal opposition to this policy has come from Hungarian leader Viktor Orbán, who has fenced his country off and withdrawn from joint European efforts to redistribute migrants. Now the idea that a former chancellor of Merkel’s own party has organised a meeting with a foreign leader who has been so vocally critical of German migrant policy has been called an “affront”, and one of Germany’s best-selling papers had said the news will set “alarm-bells” ringing in Berlin. Not only has he asked to meet the Hungarian leader, but the profile also reveals Mr. Kohl is a fan of Mr. Orbán’s politics, has “always defended” the Hungarian leader “against various criticisms”, and sees him as a “European with heart and soul”. Despite his enthusiasm for Mr. Orbán, some in Germany have hoped the 86 year old former chancellor will take the opportunity to brow-beat the Hungarians into submission, and to take a more German view on current affairs. Social Democratic Party leader Katarina Barley said of the meeting that as “Helmut Kohl is a committed European”, she hoped he would talk to Orbán about “his behavior in the refugee crisis” and about press freedom in Hungary. The news of a potential meeting comes just six months after Viktor Orbán last met German leaders behind Angela Merkel’s back, having talks with Bavarian leader and senior Merkel ally Horst Seehofer, which again was badly received by Berlin. As Breitbart London reported at the time, Mr. Orbán said at a press conference during the meeting that Germany should shy away from “moral imperialism” — the temptation to tell other Europeans how to conduct their affairs — and that Hungary didn’t want mass migration forced upon it. Mr. Seehofer said Mr. Orbán and Hungary had “earned support and not criticism” for their stance.